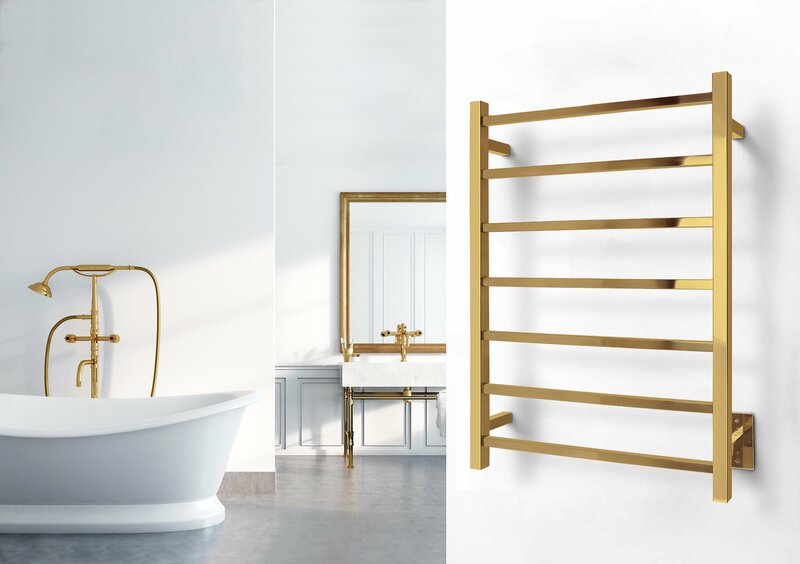 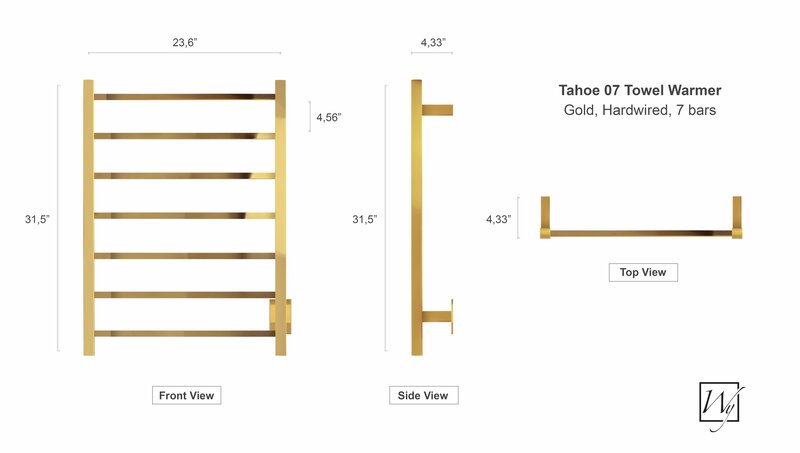 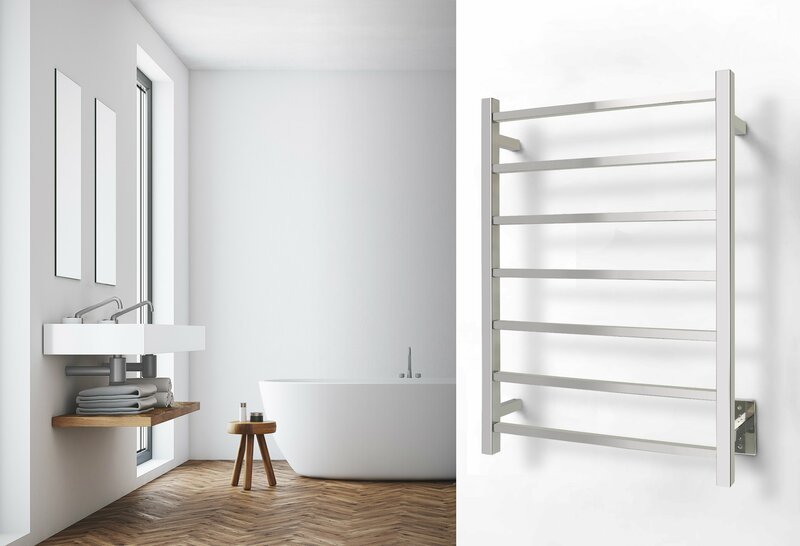 The Tahoe 7 towel warmer from WarmlyYours is the perfect balance of functionality and stunning design. 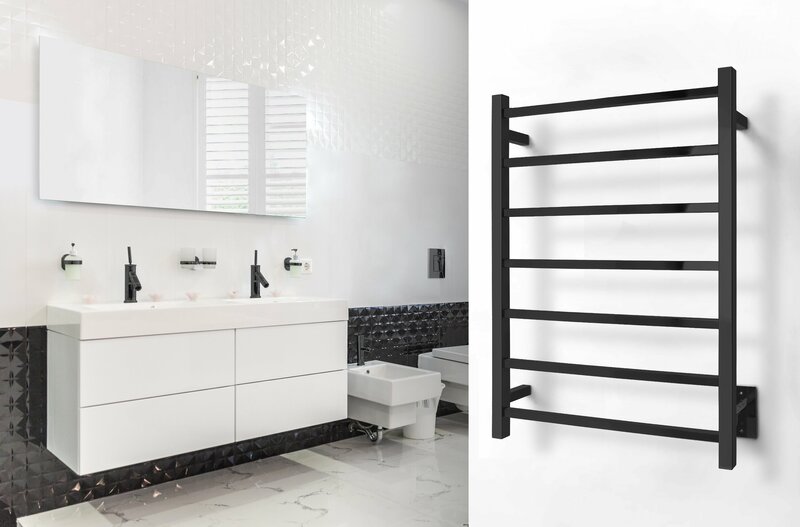 This model’s discrete power switch and hardwired electrical connection (110 – 120 VAC) provides a streamlined, wall-mounted installation. 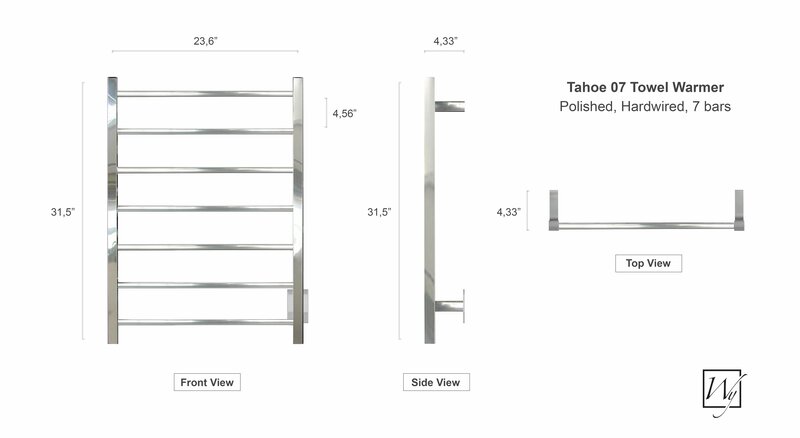 The square bars and straight lines of the Tahoe 7 are a natural complement to any linear design. 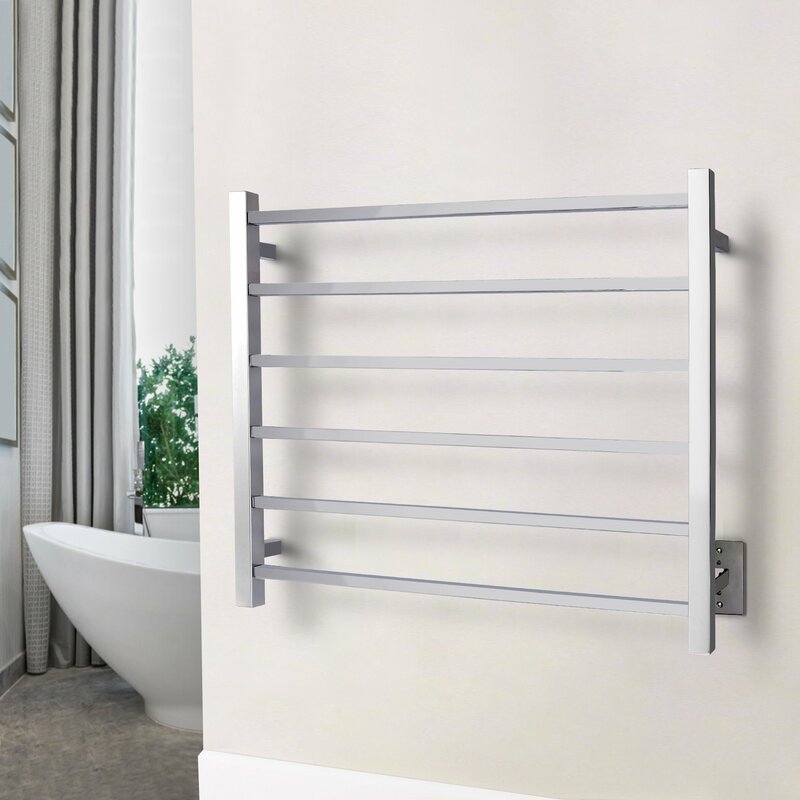 The 7 evenly spaced bars provide an impressive heat output of 256 BTUs per hour which will ensure that your towels and bathrobes are warm and dry. The matte black finish of the Tahoe 7 provides a visually striking element to nearly any room. 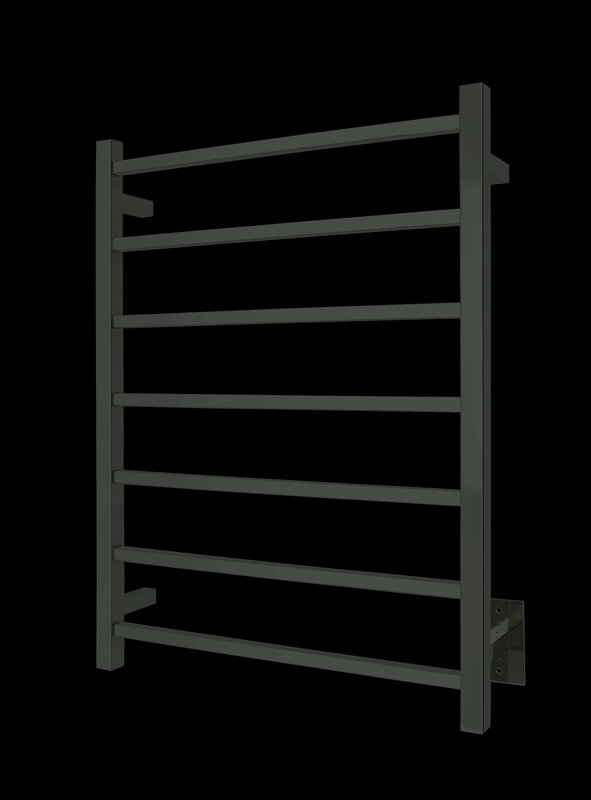 This model comes with built-in TempSmart™ protection to prevent the unit from overheating.